Is the gold rally over? The almost 3 per cent slide in the gold price over the past month has prompted speculation that the yellow metal’s rally is over. A stronger US dollar, optimism about US-China trade talks and rising equity markets have combined to knock the haven asset from an 11-month high. 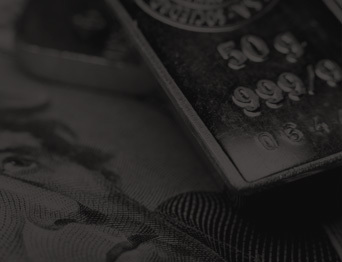 Its decline from just over $1,340 a troy ounce has been mirrored by a drop in the amount of physical gold in exchange traded funds, which has dipped to 71.8m tones, from 73.3m at the end of January. The money investors have ploughed into ETFs helped drive the 14 per cent rise in the gold price from its most recent low in August of $1,173 an ounce, as markets grew increasingly anxious about the health of the global economy and were unsettled by huge swings in equity markets. While those concerns have eased, analysts say there are still reasons for remaining bullish on gold. A combination of the Federal Reserve signaling a pause in its series of interest rate rises and stronger growth in emerging markets will lead to a weaker US dollar, which should help the gold price. Meanwhile a slowing European economy and the European Central Bank’s decision to push the possibility of higher interest rates further into the future are reasons the yellow metal should remain popular with investors in the region, where ETF’s gold holdings have also continued to rise over the past three years.